We offer a variety of Dog Training classes in 6-week 1-hour sessions throughout the year. Our trainer, Caron Bronstein, teaches positive motivational methods to students and their dogs all in the goal of developing mutual trust and respect. Please contact us for class times, availability, or to register at 802-484-5829 or email dogtraining@lucymac.org. The fee for each 6-week session is $125.00. We’re happy to take $25.00 off any class if your dog or puppy was adopted from Lucy Mackenzie, or another shelter or rescue. Register online for a Dog Training Class. This 6 week course is limited to 5 dogs that are over 16 weeks of age. The focus of this class will be to teach caregivers to train their dogs using low stress positive reinforcement training techniques. Behaviors taught are the basics of good behavior – sit, lie down, stay, wait, come when called, heeling on a leash without pulling, and more. This 6 week course is limited to 5 dogs that have graduated from the Beginner Obedience class. The focus in this class will be to increase the reliability of the skills taught in the Beginner class, having the dogs perform these skills in increasingly more distracting situations. New skills, such as beginning off lead work, jumping, retrieving and clicker training, will also be introduced in this class. Skills will be taught using a variety of group exercises and games. Rally Obedience is an energizing sport that combines the exercises taught in obedience with the course work that is used in agility. Rally is a very user friendly sport with exercises ranging from simple commands to advanced ones. The Rally course consists of several stations, each with a sign detailing what exercise is to be performed at that station. The courses are quickly paced and can be done on or off leash, with teamwork and fun in mind! Agility is a great way to have fun with your dog and get some exercise as well! Dog and handler teams learn to do a course consisting of a variety of obstacles which include such things as an A-frame, tunnels and jumps. It is an exhilarating sport that is a blast! This 6 week class is limited to 8 dogs who are 6 months or older, for students who are new to the sport of agility, or for returning students who are training a new dog. The focus in this class will be on the introduction of agility equipment and basic handling techniques used in agility. Most of the class will be done on leash, with some off leash work starting by the last week or two of class. Dog and handler teams must have a working knowledge of basic obedience skills or have graduated from a basic obedience class before enrolling in this class. This class is limited to 8 dog and handler teams who have already graduated from a basic agility class and are ready to move on to more advanced work in agility. The focus in this class will be on the introduction of more advanced handling techniques and more challenging courses. Most work will be done off leash. Dogs and handler teams must have a working knowledge of basic agility skills and be able to work off leash. Caron Bronstein graduated from Colorado State University with a Bachelor’s degree in Wildlife Biology, but while working as both an animal control officer and as a code enforcement officer, she found her calling! She is passionate about dog training and helping owners to understand their dogs through the training process. She has been teaching dog training classes – including obedience, rally obedience, and agility – both publicly and privately for nearly 20 years. Her goal is to help owners train their dogs to become well-mannered companions and pets in all settings and to build the foundation for good behavior at home and during any activities in which the owner and dog wish to participate. 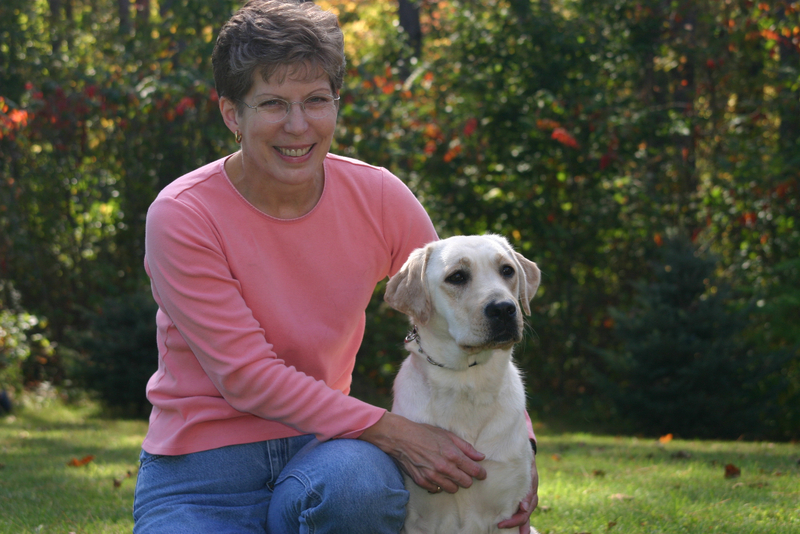 Caron is also a member of the Labrador Retriever Club of Greater Boston and the Association of Pet Dog Trainers.